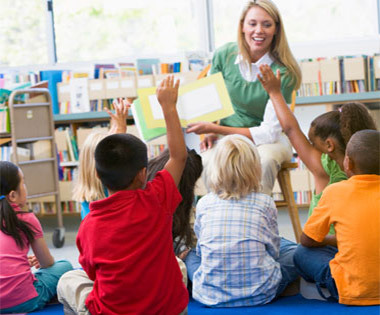 Speech-Language Therapy benefits children with a variety of speech, language, and hearing disorders by helping them to develop effective communication skills. We have licensed speech-language pathologists with advanced training in a variety of areas including Sensory Integration, PROMPT, and Hanen. All of our licensed Speech Language Pathologists (SLPs) are board-certification from the American Speech, Language, and Hearing Association (ASHA) and have maintained their Certificate of Clinical Competence. Our speech-language pathologists are specialists in the evaluation and treatment of children with a variety of delays and disorders such as early intervention, developmental delay, expressive and/or receptive language delays/disorders, social-pragmatic difficulties, childhood apraxia of speech, articulation/phonological delays/disorders, poor speech intelligibility, lisps, voice disorders, dysarthia, hearing difficulties, stuttering/disfluency (in children and adults), and accent reduction. Additionally, we provide services for children and adolescents with a variety of diagnoses including sensory processing disorders, auditory processing difficulties, Specific Language Impairment, Selective Mutism, Autism Spectrum Disorder, Asperger’s Syndrome, Cerebral Palsy, Attention Deficit/Hyperactivity, Down’s Syndrome, and other genetic disorders. At Therapy West, Inc. we emphasize family-centered care and encourage caregiver involvement in their children’s speech and language development. We offer clinic-based treatments as well as home visits, school visits, and visits to other natural environment settings.